Fort Lauderdale #1 Custom Glass and Mirror shop since 1989. ​We service, install and stock Antique Mirrors. Professionally installed Frameless Shower Door Enclosures, Glass Table Tops, Mirror Removal service, Glass Shelves, Custom Mirrors and Glass Back splash and Glass dividers. ​A variety of decorative glass textures, designs, styles and obscurities to enhance the look of your Kitchen Cabinet Glass décor. • Custom cut glass table top replacement: Replace or create a new glass to a table stand, make a dining table, end table, office glass desk or conference room table. • Custom cut mirror: Create a custom mirror to hang, on its own or within a specialty frame. In stock blue mirror & black mirrors. • Custom cut replacement glass: Replace a piece of glass to the same size and specifications. If you are able provide the furniture we will replace and re-install glass to your current furniture design. • Custom cut glass: Create custom glass shelves that fit a specific space. In stock grey (gray) glass, bronze glass, UV (ultraviolet) glass, Museum glass and colored glass to enhance any décor. ​Located in Fort Lauderdale Florida since 1989 we are licensed as a professional glass glazier. We offer a wide variety of custom cut glass and mirrors for Residential and Commercial decor. Easily Select Your Specifications using our Free Quote tool. Our Glass and Mirror tool will allow you to select the customized dimension and shape of your glass or mirror. We custom cut Round, Rectangle, Square and Oval Shapes. You may also email us a picture of the design or project with general dimensions for a free quote over the phone.​​ Ask us about our mirror removal service today. We are a full service Glass and Mirror Company owned and operated by a licensed and certified glazier. Manor mirror services Broward, Dade and Palm Beach County's. 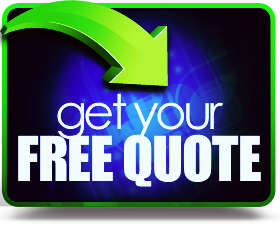 Request a Free Glass & Mirror Quote by Selecting "Get Your Free Quote" link below.